Whoopi Goldberg: "Dude I want in! I wanna do Star Trek!" - There's Coffee in that Nebula! 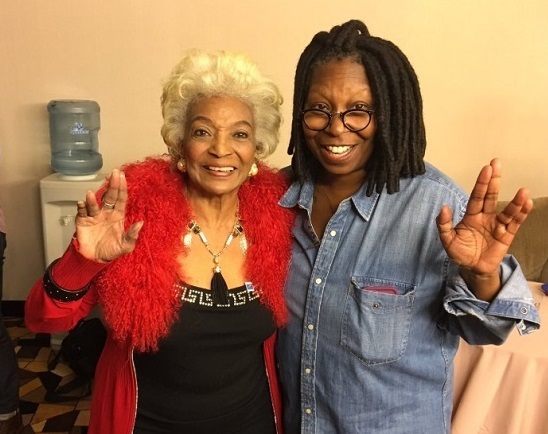 Nichelle Nichols appeared as Lieutenant Uhura in all of The Original Series episodes as well as the follow-up movies. In addition, she has appeared in multiple specials and voiced her character in The Animated Series. Fun Fact! The name Uhura comes from the Swahili word uhuru, meaning freedom. 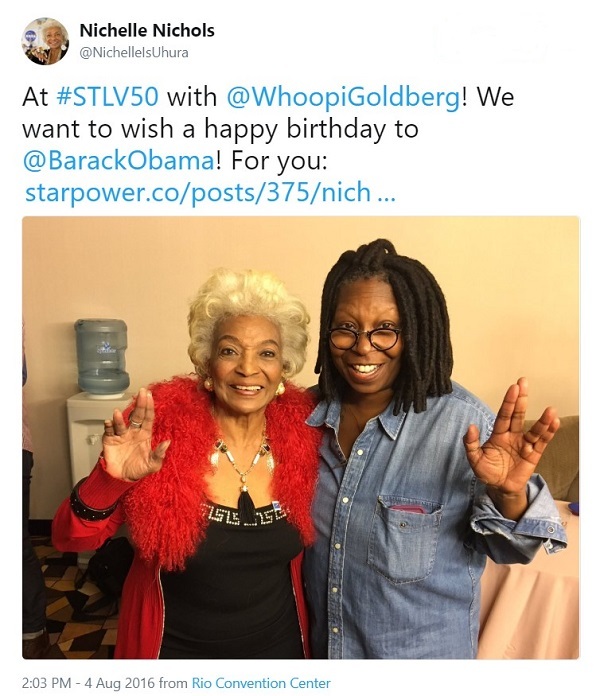 Whoopi Goldberg appeared as Guinan in 29 Next Generation episodes plus the movies Generations and Nemesis. I wish I could take credit for this video… from my favorite convention provider Creation Entertainment… who loves surprising fans (and their guests!) like this… thanks to DTrek55 on youtube for this one! Gates McFadden: Otherwise known as Mrs. Spiner! Star Trek Top Ten Lists! Copyright © 2018 There's Coffee in that Nebula. All rights reserved. STAR TREK and related marks are trademarks of CBS Studios Inc. There's Coffee in that Nebula is not affiliated with CBS Studios Inc.